In any time of ‘total war’ human beings, driven by the will to stay alive, will do un-imaginable things of one kind or another. War is erroneous, war is gruesome and war is superfluous, it can spiral out of control very quickly. World War II spiralled into ‘total war’. Many millions of human beings were killed, and millions of others forced into a state of shock, left with permanent dismemberment, physical and mental damage, fear and general uncertainty. Due to the impact upon people throughout the world, lifestyle abnormalities were not uncommon and many found themselves in situations perhaps deemed unimaginable pre-war and in times of peace and prosperity. Common civilian stories during WWII, emerging in every-day life that could now be seen as terrifying – such as that of J. Brownbridge, a young boy in Britain during the Blitz, make one wonder just how young boys in Britain would cope today. The young boy recalled seeing a German bomb falling to its target in his hometown during the early years of WWII; he stated ‘As I was riding along with the shopping bag dangling over my handle bars I heard a noise like an old motor bike. And then I saw it. It was coming along Galliard Road straight at me. It was a doodlebug. And then the worst possible thing happened. The engine conked out’. This obviously sparked un-imaginable fear into the young boy, as it’s known that when the engine cuts out on a doodlebug, it will very quickly thereafter explode. This is just one of the thousands if not millions of stories that became common everyday life. It is clear that in any time of war unthinkable things happen, people are pushed to their limits and ideologies change. During WWII, people had to quickly adapt their way of life both physically and psychologically. This total war, found throughout the world, changed peoples ideals in various ways, especially regarding the value of life itself. This arguably led to actions of a despicable nature, acts that where somehow deemed necessary in order for nations to win the war for one ideal or another. One of the many things that humans deemed necessary to win in this total war, a war with no option but victory for so many, was the mass bombing of enemy cities. The bombing of cities during WWII was undertaken for various reasons. D. Seibert in his piece entitled ‘British Bombing Strategy of WWII’ states different initial objectives underlined by British bomber command, such as ‘attacks on naval targets’. After an initial attack on London by the Luftwaffe in April 1940, described as happening ‘accidentally and against Hitler’s orders’, the bombing wars began. Previously bombing was targeted to military bases and strategic military targets. Soon after April 1940 and the first city raid, the stance shifted to include the mass bombing of cities. Britain soon after retaliated with bombing raids over German cities, which spurred on further raids from the Germans and so on. At this time Britain realised, or ‘claimed’ that the efficiency of bombing raids had to be re-considered. 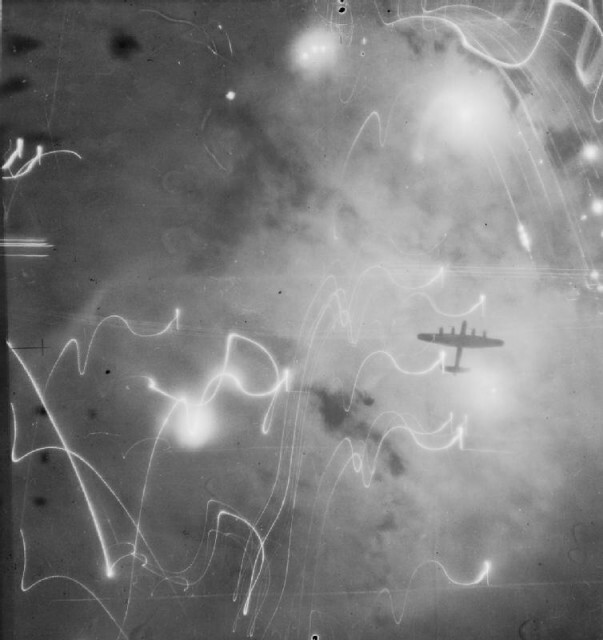 ‘Britain’s air force began to realise that its bombers were not able to find and hit specific military targets such as airfields or armament factories’. A 1940 military investigation undertaken by the British ‘revealed that just one in five aircraft was succeeding in dropping its bombs within five miles of its target. Under such circumstances, the bombing offensive could only be effective if it was directed at targets as big as cities’. 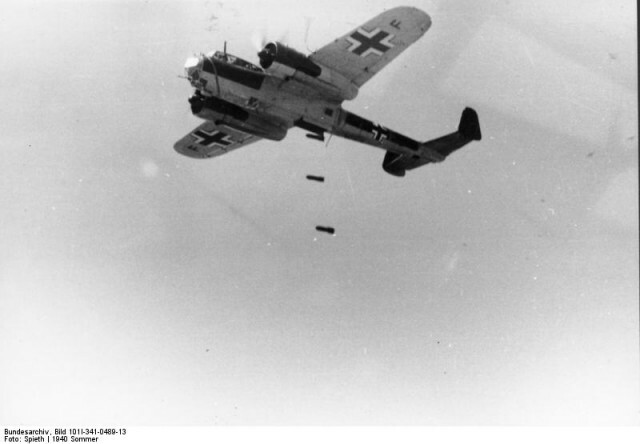 Reports from both British and German bombing strategy illustrate the growth and evolution of the brutality of warfare and bombing tactics urged on by total war during WWII. These testaments provide evidence through the reported apparent need to terrorise foes and is shown with the evolution of bombing strategy, ending with the crescendo of bombing enemy cities. 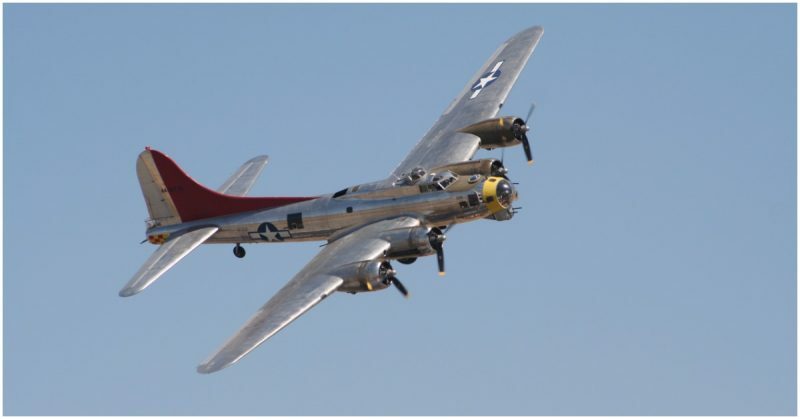 However successful in military respects these bombing raids were seen to be necessary in order to defeat the enemy, they also inevitably brought fear and chaos into thousands of lives. More so, maybe not intentionally but unavoidably, thousands of innocent people were killed in the process. It can never be truly measured how many of the people involved in the bombing of a city are indeed enemies, percentages may be created but no definite answer can be derived, so the value of the bombing cannot be truly measured in terms of ‘victory’. This is due to the different viewpoints towards who can be identified as an enemy, and the many contrasting views on what may constitute an enemy. By looking at the number of victims, it can be estimated that many of the deaths in these instances are of those of innocent people, such as ‘Dresden (October 1944-April 1945) – 25,000 killed’ or ‘Berlin (1940-1945) – 20,000-50,000 killed’, the majority of which are likely to have been civilians but again as innocence has different meanings for different peoples the number of innocent civilians are debateable. Some may suggest that in instances of total war acts of aggression such as bombing may be seen as necessary when considering a utilitarian viewpoint. John Stuart Mill defines utilitarianism as ‘Actions are right in proportion as they tend to promote happiness, wrong as they tend to produce the reverse of happiness’. Jeremy Bentham also states that, ‘it is the greatest happiness of the greatest number that is the measure of right and wrong’. British high command argued that, the many thousands that were inevitably killed by the Allied bombings in Germany were deemed sacrificial and their deaths made justifiable in order to end the war sooner and thus save more lives. However many see this utilitarian theory as insufficient. Bernard Williams states, ‘Utilitarianism is [overly] committed to a strong doctrine of negative responsibility which flows from the fact that it assigns ultimate value to states of affairs’, therefore when there are two opposing forces it is questionable how this utilitarian viewpoint can be seen as just, just as the British were killing Germans to save British lives, the Germans were killing Brits for their own motives. 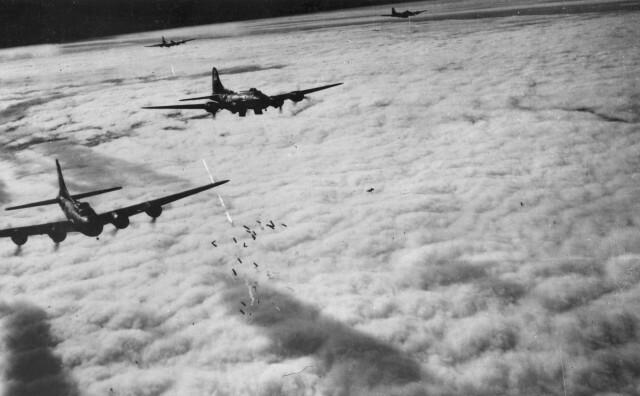 As the allies saw it necessary to bomb German cities, the Germans with other opposing ideologies may have also seen it as necessary to bomb Allied cities. The theory and arguments are extremely problematic. There is also the argument posed by the well-known quote attributed to Winston Churchill (but of unknown origin) stating ‘history is written by the victors’. Perhaps this is one of the many reasons why it is argued that the allies may be considered as justified in bombing German cities as they were the victors over Germany after WWII. The allies, mainly the U.S and Britain, claim to act as just nations, fighting for a free world, a moral world and, above all, democratic freedom. Franklin D. Roosevelt, the President of the U.S, declared in regards to the war against the Axis Powers, ‘Democracy alone, of all forms of government, enlists the full force of men’s enlightened will…It is the most humane, the most advanced, and, in the end, the most unconquerable of all forms of human society. The democratic aspiration is no mere recent phase of human history…We…would rather die on our feet than live on our knees’, however if this is the case then it could be considered that the bombing of cities, spurred on due to the nature of the warfare during WWII, were not wholly comprehended in a moral framework, but more so utilised for their efficiency in achieving the overall objective brought on by total war – an objective to win the war and defeat the enemy, by whatever means necessary and to restore democracy. Winston Churchill, the second British Prime minister during WWII, issued hundreds of raids on Germany. Harmon, after writing his book ‘Are we Beasts’ on the justifiability of the allied bombings, described Churchill’s leadership in regards to bombing Germany as ‘Churchill did not think well of area bombing but began to believe it could be a grim necessity after (1) he watched devastating German air attacks on Warsaw, Rotterdam, and other places full of non-combatants; and (2) he could see precious few ideas for hitting back. In the ever lengthening build-up to Normandy, the bomber offensive was about the best he had to hurt the Germans and their industrial war effort. Later, when he saw France liberated, Germany’s defensive lines being pierced, and the war being won, he quickly lost taste for it’. Churchill, throughout the war, described the British bombing of Germany in an intemperate manner using vocabulary such as ‘extermination’, ‘annihilation’ and so on, however Britain’s former prime minister pre-war (and until Churchill’s abdication in 1940) Neville Chamberlain stated that Britain was ‘against international law to bomb civilians as such and to make deliberate attacks on the civilian population’. The acts of un-imaginable unnecessary destruction cannot be blamed on any one man. However it must be questioned how nations that are, so called ‘proud’ of its morals and fighting for a free world, for the people, could bomb cities in which thousands of innocent men, women and children resided. WWII involved different political, religious and moral beliefs and entwined the worlds of democracy, communism, nationalism and ideological extremisms of many varying forms. These opposing forces all believed their way of life, morals or desires were correct. Morals were overseen and objectives and results over-ran what many believed to be right or just. The Allies were not justified to bomb German cities during WWII, however neither were the Germans ever justified to attack Allied cities. It could be argued that defending oneself in times of attack may be seen as justifiable, but retaliatory attacks may not be justifiable. This again creates further pragmatism as others could argue it is necessary in certain cases to retaliate to prevent or deter future attacks on oneself. These spiralling arguments are always entwined within the debate over wars and a moral, just viewpoint is arguably needed to set a standard that it is never acceptable to bomb cities with innocent peoples residing in them. My name is David J. Armstrong (BA Hons) and I am a British military historian from Buckinghamshire. I graduated from university with a degree in War & Conflict in 2014. Since then I have been writing my first non-fiction book about ‘D-Day’ along with other short pieces as found on my blog. I will be attending university again in 2016 and studying towards my MA Degree in Military History with the hope of continuing on to my PhD in the same subject thereafter. I love to research, learn and write about history. My specialist subjects and my real passions are the wars of the 20th century including WWI and WWII. You can find me as part of various historical associations such as the Historical Writers Association and you can also find me on twitter as @djahistory. On my blog you will find a collection of work – things that I am working on (such as articles and reviews, historical volunteer work and articles for online sites and magazines), things that I have done in the past and things that generally interest me within history (Including historical sites and museums I visit, books I read and articles I am intrigued by).